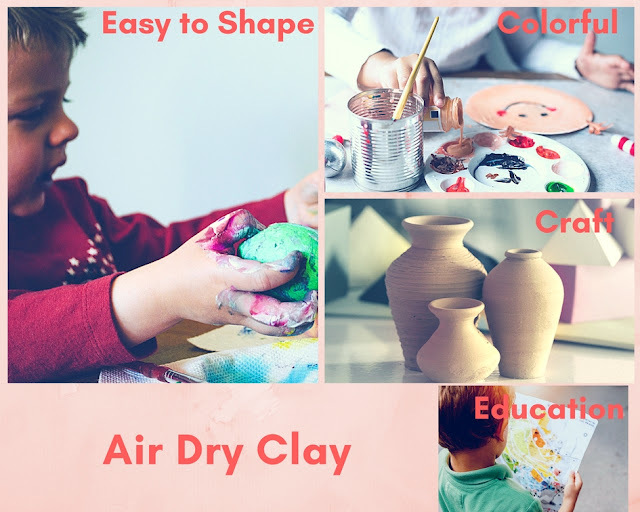 People often get a lot of questions about the how to use air dry clay, and We thought it would be fun to give you a bunch of random tips that can make things a bit easier and look much better! We hope that you will find them useful! 1.How do you stop clay sticking to work surface? Air dry clay will stick to whatever surface you are working on. But working with your clay on a ceramic tile works best, and you can use marble or granite or even a piece of glass. Also you can use those as follow to protect the table and to make it a little easier to remove the clay from my work surface. 2.Keep your work surface dust free. Before you work with your clay, should be clean the work surface with some paper towel and a bit of rubbing alcohol. It will helpful you to make works on table. You can put lotion, baby oil or Vaseline on your hands helps keep the clay from sticking to your fingers while your working with it. Especially Resin clay. 4. How to remedy the clay split after dry? you can use a small amount of water on your fingertip to smooth out imperfections or split areas, just gently rub the areas that need smoothing. But don't too much, because it will increase drying time.